Cauliflower is one vegetable that’s available pretty much year-round. This casserole takes it beyond raw or simply steamed. 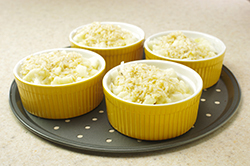 Brown rice and toasted walnuts complement its flavor and texture. 1. Preheat the oven to 350°F. 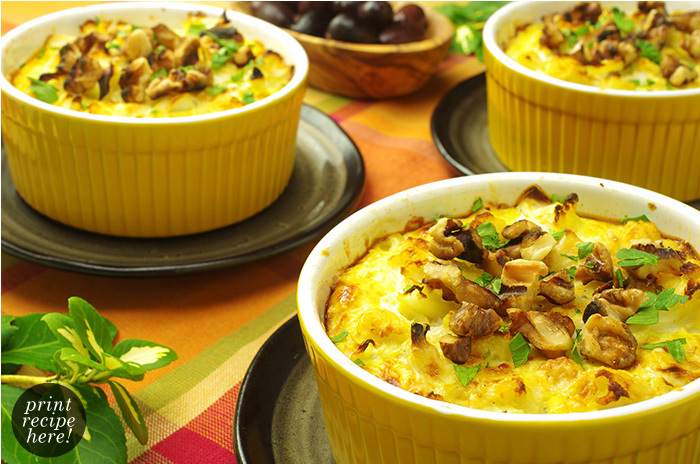 Coat a 2-quart casserole with cooking spray. 2. 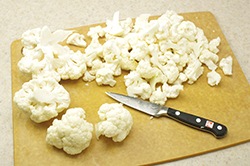 Cook the cauliflower florets in boiling salted water to cover until crisp-tender, 5 to 10 minutes, and drain. 3. 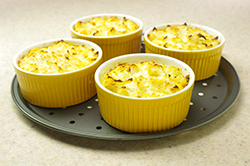 Arrange the florets in the casserole. 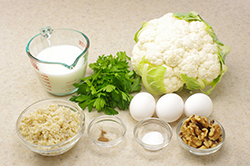 In a medium bowl, combine the rice with the eggs, milk, salt, and allspice and pour over the cauliflower. 4. 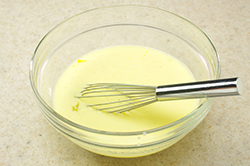 Bake for 30 to 35 minutes, or until the custard has set. Garnish with the parsley and the toasted walnuts, if desired.